Passport to Manhood is one of the Club’s Targeted Programs under the category of Live: Healthy Lifestyles. Each week the Club’s “Wise Guys” in grades 4th-6th meet to discuss a variety of important topics. 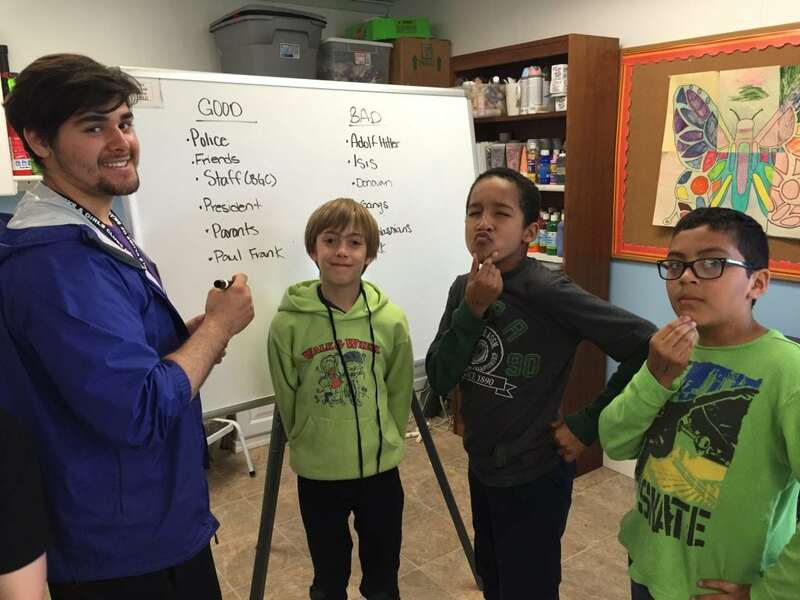 This past week Club members discussed good and bad authority and how to react to authority in appropriate ways. According to members, bad authority included some historical and global figures including Hitler and ISIS and some positive examples were law enforcement, teachers, and even parents and staff. Over the past several weeks Club boys also discussed: “What makes a good role model and how can we be good role models?” “What makes a good father?” and “How to build a good relationship with your dad.” Led by Club Staff member and 2013 Youth of the Year Bobby Castro, our Passport to Manhood program meets every Wednesday and will continue through the month of May, wrapping up with the end of the school year.